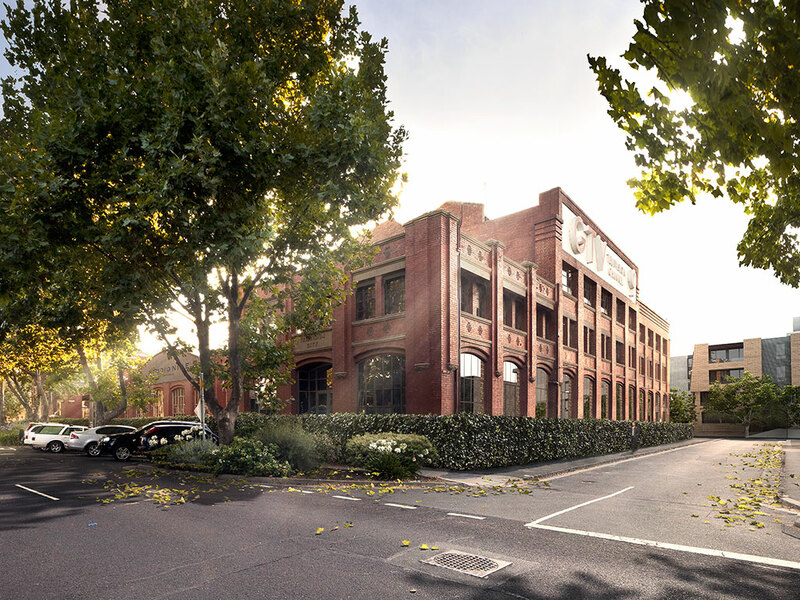 Six years after a permit was granted for the redevelopment of the historic Channel Nine studio site building in Richmond, Lendlease have submitted an updated proposal for the undeveloped components of the Bendigo Street site. The global property developer submitted the new proposal to the City of Yarra on Tuesday, with a Lendlease spokesperson revealing to The Urban Developer that the development will include a small portion of affordable housing. Lendlease have appointed Bates Smart Architects to revise the remaining parts of the masterplan, originally design by Hayball and approved for development in April 2012. Lendlease acquired the site from Kerry Packer in 2010 for $50 million with ambitions of transforming it into a $450 million mixed-use hub. When the original permit was granted, The City of Yarra allowed the conversion of the Channel Nine studio site from industrial zone 1 to mixed-use. The proposal planned for 550 high-rise apartments which caused some outrage in Richmond at the time. The original scheme proposed that the 550 apartments was to be split over four precincts, “North”, “Heritage”, “Central” and “South”. The development plan also included the retention of the heritage-listed former Wertheim Piano factory building – constructed in 1909 for Hugo Wertheim, a German immigrant and businessman – which has since been developed into a mixture of residential apartments, small-scale retail and a 400-square metre community facility. A total of 202 residences, including townhouses, apartments and heritage apartments have been delivered in the North and Heritage precincts. 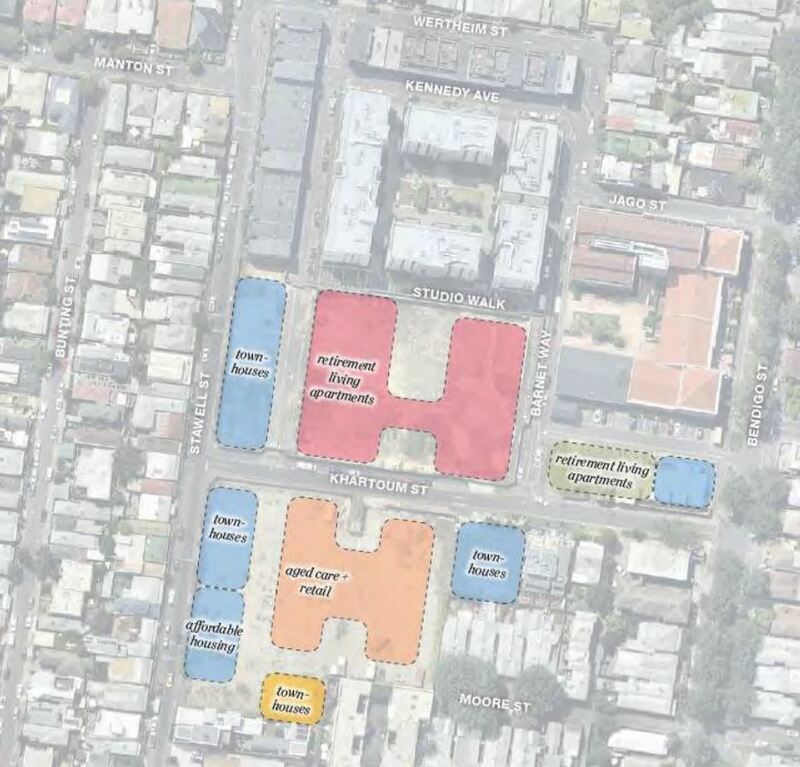 The approved development plan from 2012 will be retained and remains relevant to those parts of the site that have been developed, however the new amended development plan will supersede the earlier approval for the Central and Southern Precincts. The 2012 proposal also stated that at least 5 per cent of the homes within the development would address affordable housing, to be owned and managed by a registered housing provider and Lendlease have honoured this in their recently amended development plan. According to the development proposal Lendlease will be partnering with Women’s Housing, an organisation dedicated to providing women safe, secure and affordable housing choices. The developer has also formed a partnership with Catholic Healthcare to deliver the aged-care living and facilities which occupy a large part of the newly proposed masterplan. In total, there will be three buildings dedicated to aged-care living, varying from three- to nine-storeys in height. The developer is awaiting approval from the City of Yarra for the final stages of the development.